CINCINNATI, OHIO – May 18, 2018 – Oswald Company, Inc., a Cincinnati based development and construction company, is pleased to announce their continued growth with the hiring of three new Project Engineers – Dustin Camloh, Austin Fowler, and Dan Gilbert. 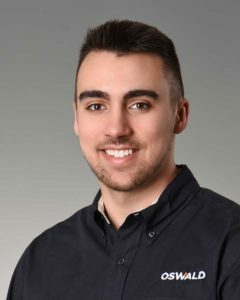 As Project Engineers, Austin, Dustin and Dan, will assist Oswald’s Project Managers and Field Construction Managers in planning, directing, and managing a project’s daily operations, including construction schedule updates, monitoring requests for information and reviewing submittal information for accuracy. They will also assist the project teams with setting up bid packages, conceptual pricing, and value engineering. 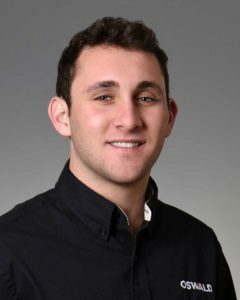 Austin is a graduated of the University of Cincinnati, with a Bachelor of Science degree in Construction Management. He has been working with Oswald for the past three years, completing all of his co-op semesters and working part-time on the off semesters. 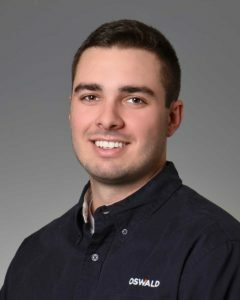 Dustin Camloh is a three semester co-op with Oswald Company and has worked part-time as a field engineer since the beginning of 2018. He has a degree in Civil Engineering from the University of Cincinnati. Dan Gilbert was previously a co-op for Mass Electric Construct in Boston and Virginia before starting his co-op at Oswald in January 2017. Dan is a graduate of the University of Cincinnati with a Bachelor of Science degree in Construction Management.